Naitasiri chief, the Taukei Nakorovatu and Vunivalu Waima Ratu Timoci Rokobukete, has assured Prime Minister Voreqe Bainimarama of support from the province. Ratu Timoci said he was speaking in his capacity as the deputy chair of the Naitasiri chiefs council. He said, previously they had supported the Social Democratic Liberal Party (SODELPA), but they had now changed their stance because ordinary Fijians had made progress and benefitted from many developments carried out by the FijiFirst Government. “We must be realistic to see and acknowledge the developments and assistance put in place by the Government of the day, otherwise we could be hypocrites,” he said. Ratu Timoci told the Fiji Sun that past leaders never came to them and take the time to hear about the issues they were facing. “We were glad to have the Prime Minister at Lutu vvillage and we were even more happy to hear of his assurance that his Government will help us in whatever we had discussed yesterday,” the chief said. 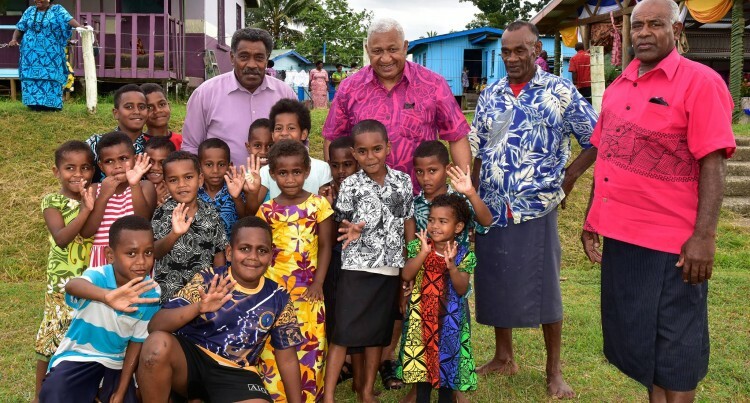 “Villagers wished past leaders were like Mr Bainimarama, who usually took the time to sincerely hear peoples’ problems and he then directs Government officials to solve them. The Naitasiri chief hopes Mr Bainimarama and his FijiFirst Party will continue to govern the country after the 2018 General Election.